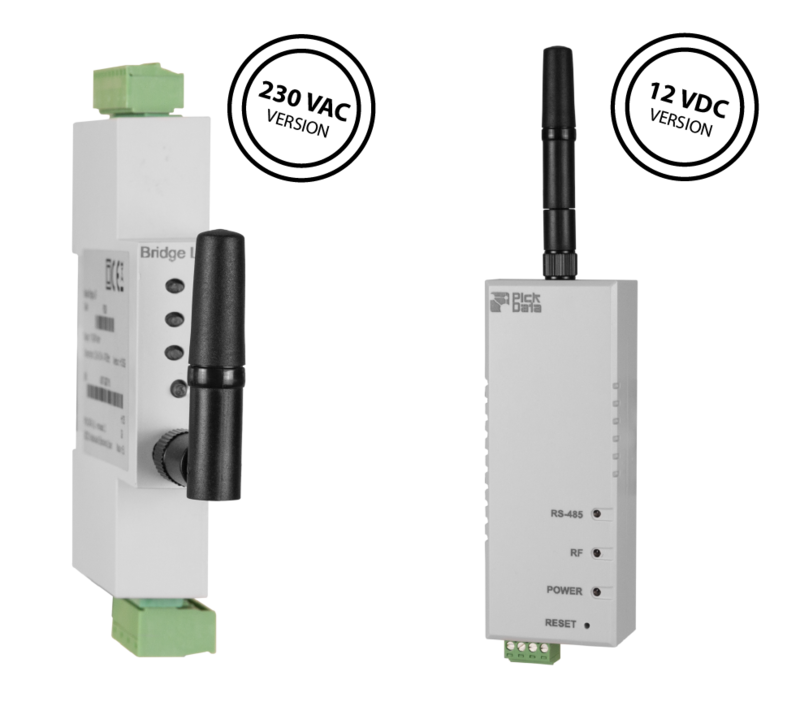 Bridge LR provides LoRaTM radio communications to any Modbus RS-485 device turning it into a wireless sensor. Long range radio communication completely transparent between Modbus master and sensors. 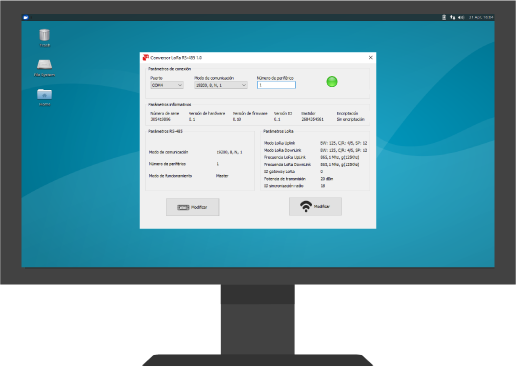 Set up Bridge LR using the PC application to configure all you need. 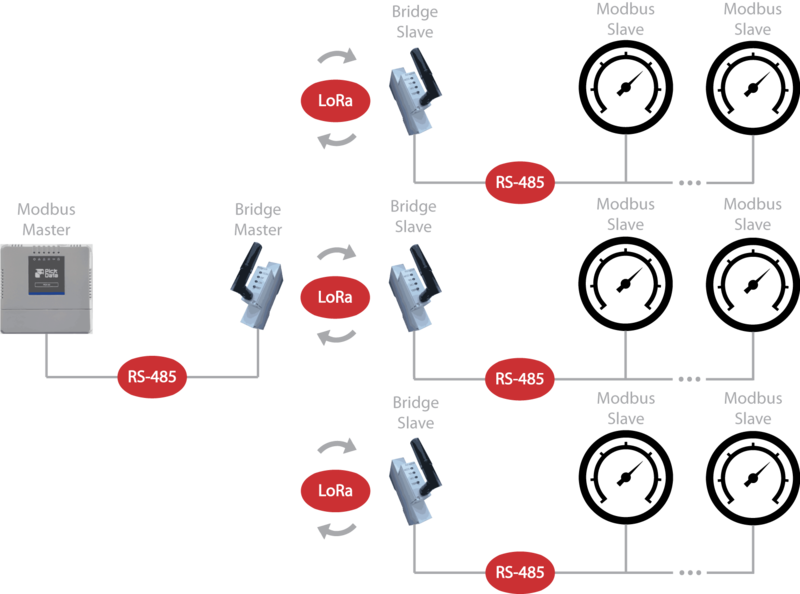 Bridge LR is a bridge that converts RS-485 physical environment to wireless long range network LoRaTM. The device is completely configurable by the PC application, used to setup any parameter of RS-485 serial port or LoRaTM radio. The solution has a master bridge connected to RS-485 Modbus RTU master, and as many slave bridges as sensors we want to monitor. The communication between master and slaves is completely transparent to allow an easy installation. However, it is required to configure the timeout time between Modbus master and final sensors to 3 seconds. Bridge LR has 1 km of indoor coverage and 20 of outdoor coverage.